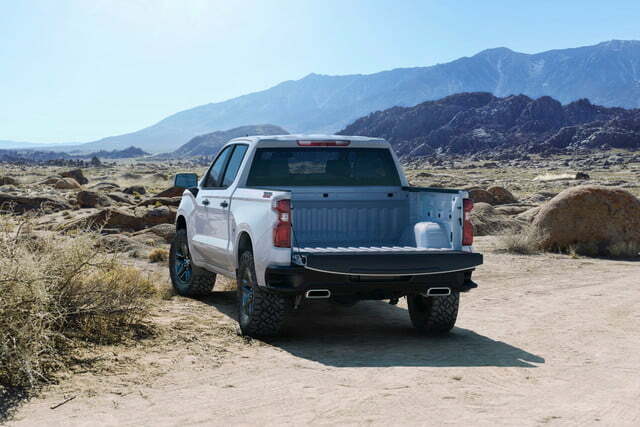 In recent updates of their full-size pickup trucks, Ford and Ram have taken some risks with new features and a heavier emphasis on technology, while General Motors has stuck to a more traditional approach. 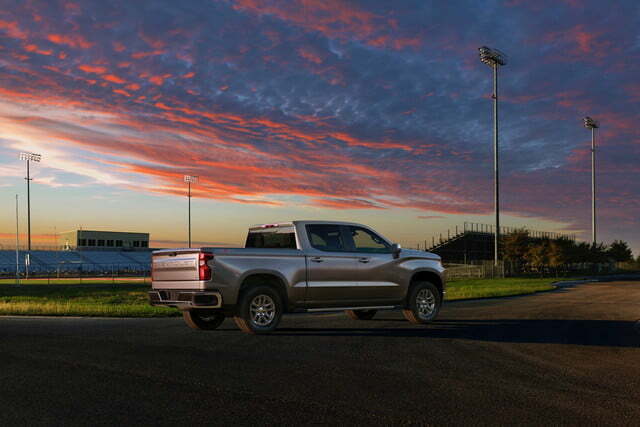 But our first look at the next-generation 2019 Chevrolet Silverado indicates GM may be changing things up. We got a glimpse of the new truck at an event celebrating 100 years of Chevy trucks in Texas, the obvious location for anything truck-related. But now we also have more details on powertrains and design following the Silverado’s appearance at the 2018 Detroit Auto Show. 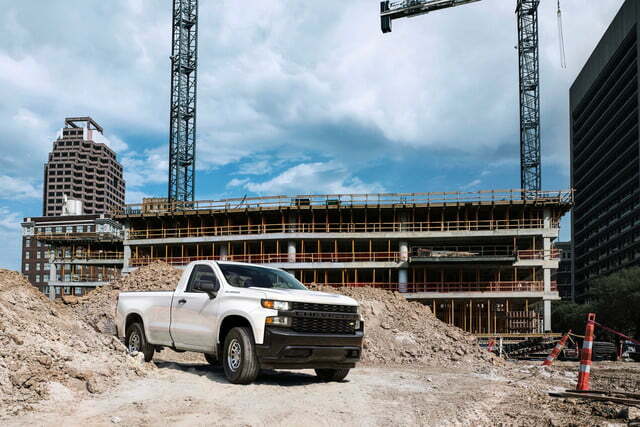 The new Silverado is less conservatively styled than its predecessor and, naturally for a new vehicle, Chevy is promising performance improvements over its predecessor. The new Silverado has a very different look from the old one, which looked like it was designed using only a ruler. 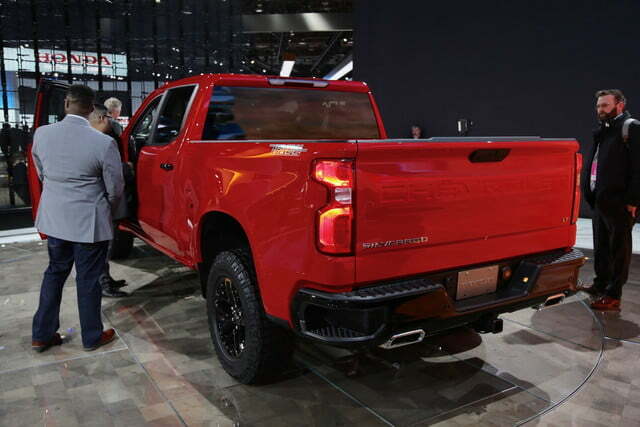 The new truck has more sculpted bodywork, with rounded wheel wells that bulge out from its flanks. 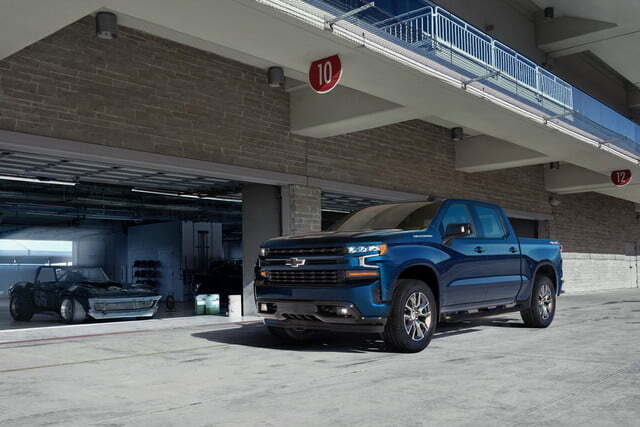 The 2019 Silverado also features a new take on Chevy’s familiar stacked headlights, with a bit of bodywork folded in between the lighting elements. 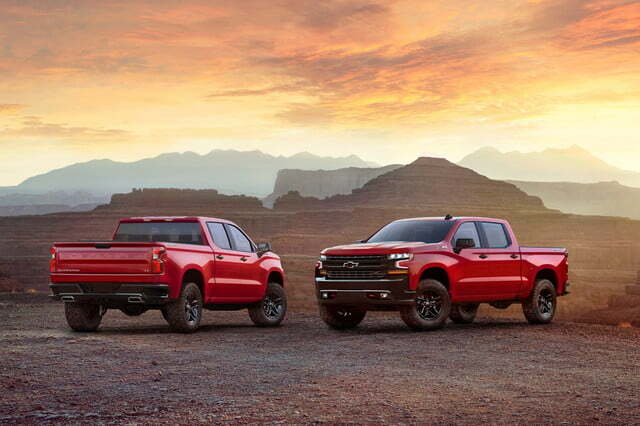 It will be interesting to see if truck buyers dig this new approach to Chevy truck styling. 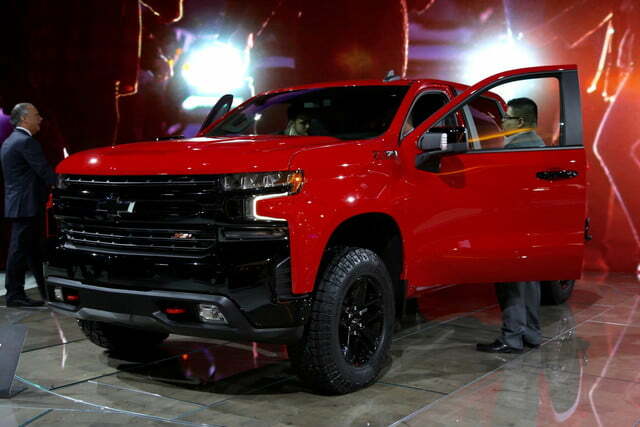 Despite being slightly larger than the previous-generation Silverado, Chevy says the new truck is 450 pounds lighter, when comparing crew cab V8 models. Part of that savings comes from a steel frame that’s 88 pounds lighter than before. Chevy also reduced the body weigh by 88 pounds, thanks to a mix of materials. The doors, hood, and tailgate are made of aluminum, while the fenders, roof, and bed are made of steel. 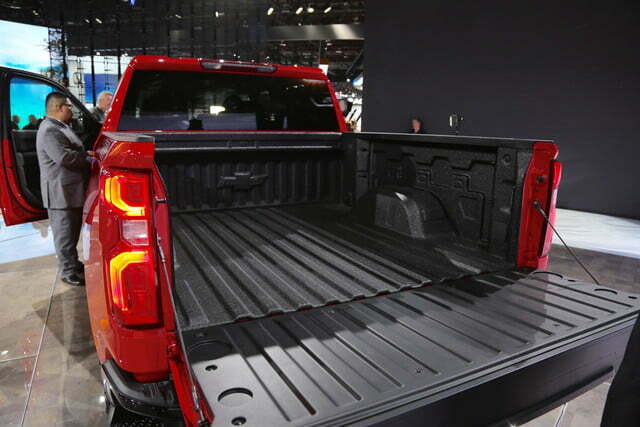 But Chevy didn’t equip the Silverado with a carbon-fiber bed, as was widely reported ahead of the launch. The bed may not be made of carbon fiber, but it’s more than just a box. It sports 12 fixed tie downs for securing cargo, and an available power tailgate. 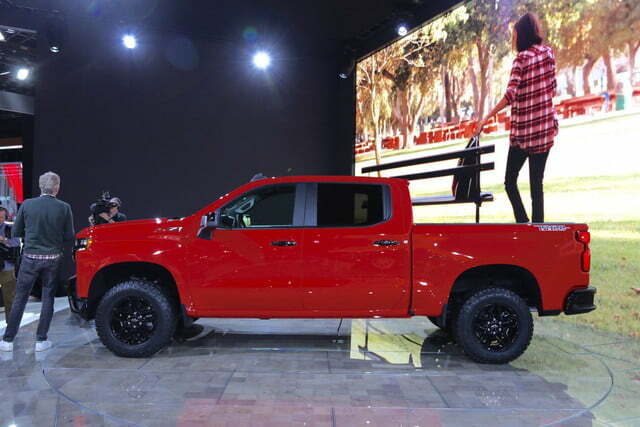 Chevy will offer optional storage bins that fit over the wheel wells, with seven cubic feet of lockable storage space (but some competitors offer lockable storage built into the bed itself). Chevy claims best-in-class bed space, as well as the ability to lay a 4×8 sheet of plywood flat in the bed. Like the rival Ram 1500 and Ford F-150, the Silverado is going diesel. 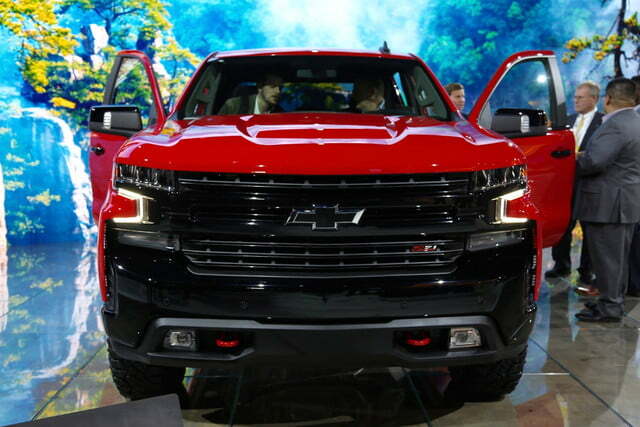 Chevy will offer a 3.0-liter Duramax turbodiesel inline-six, as well as 5.3-liter and 6.2-liter gasoline V8s. 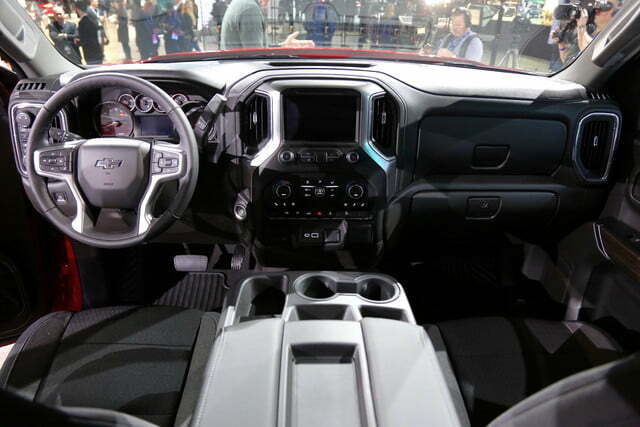 The diesel and 6.2-liter V8 will be paired with a 10-speed automatic transmission. Chevy says it will offer six engine/transmission combinations, so there are still some pieces of this powertrain puzzle missing. 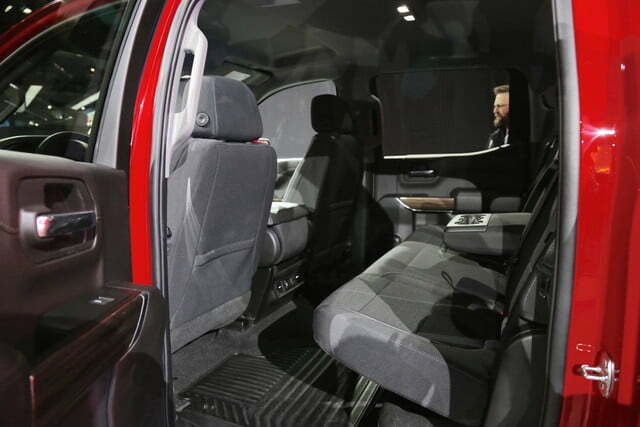 Thanks to a longer wheelbase, Chevy claims greater interior space than before, including 3.0 inches of extra rear legroom in crew cab models. 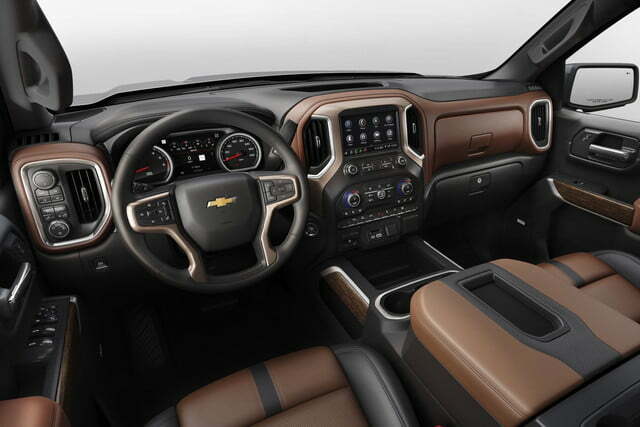 As before, the Silverado gets a built-in WiFi hotspot and Apple CarPlay and Android Auto compatibility. Other tech features will be announced later in the year, Chevy says. 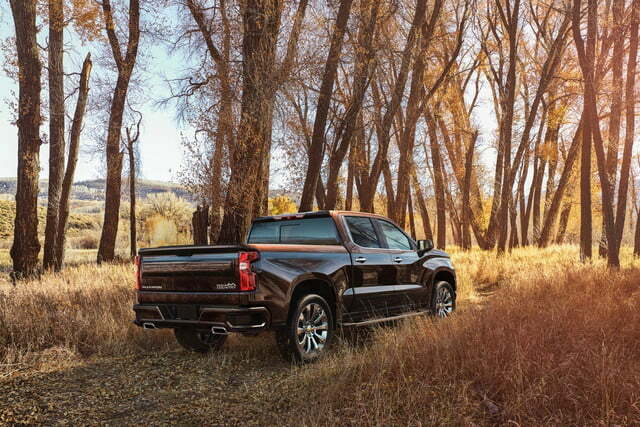 The 2019 Silverado also get a new Trailboss trim level. It includes the off-road hardware from the carryover Z71 package, plus a 2-inch suspension lift, giving owners one of the most popular truck modifications right from the factory, with a warranty. 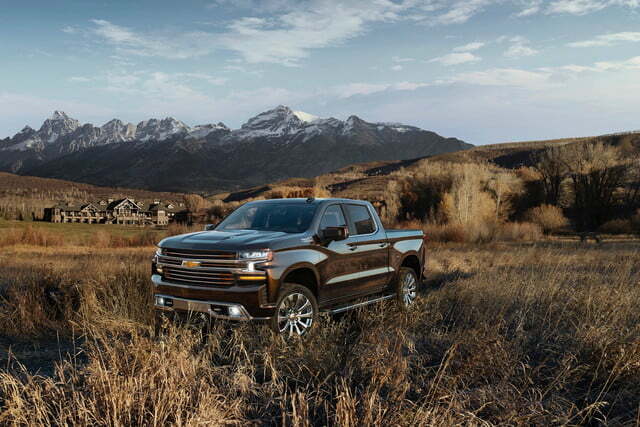 The Trailboss will be one of eight trim levels for the 2019 Silverado. 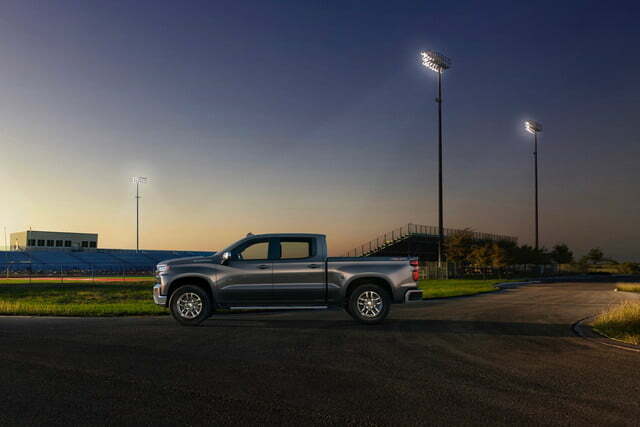 Additional details on the 2019 Chevrolet Silverado, including pricing and a full list of available powertrains and optional features, will be available when the truck goes on sale.